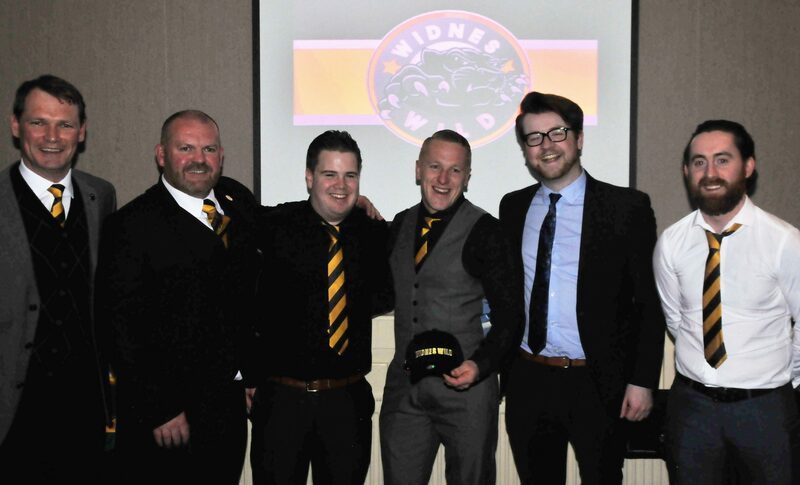 The Widnes Wild held their End of Season Awards Dinner at Parklands, Widnes on Saturday evening. Players, wives, family and fans were invited to spend one final night together to remember what has been a fabulous season. The evening began with a delightful three course meal before the presentation and thanks to all involved with the club. In between the meal, the very first play of the Widnes Wild at Mac House video was played. Fans and players alike were given the premiere viewing of the twenty minutes video which catches an insight into what the Wild players have given back to the community throughout the season. This was met with applause from everyone in the room. Each player and staff member received a glass plaque to recognise their efforts for the season. The individual player awards were then handed out by volunteers, the club showing their gratitude to the people that help on a weekly basis. That is it for the Widnes Wild as their season comes to an end. Season tickets for the 2016/17 season are now on sale. For more information email scott.mckenzie@widneswild.co.uk or alternatively call Silver Blades Ice Rink, Widnes on 0151 420 7930.